Paper plate crafts for kids are quite popular and another favorite of mine as paper plates are so cheap to buy and one pack of paper plates can easily cover a whole myriad of crafts! 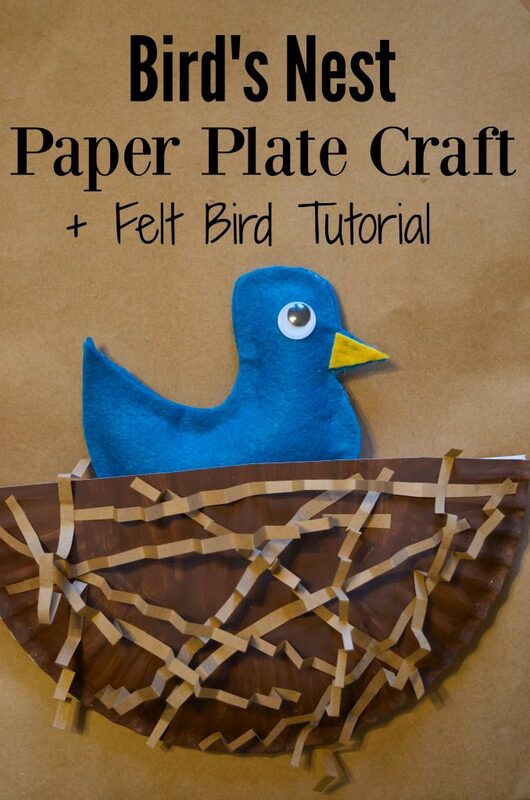 This birds nest paper plate craft is cute and pairs well with our no sew bird felt toy tutorial! 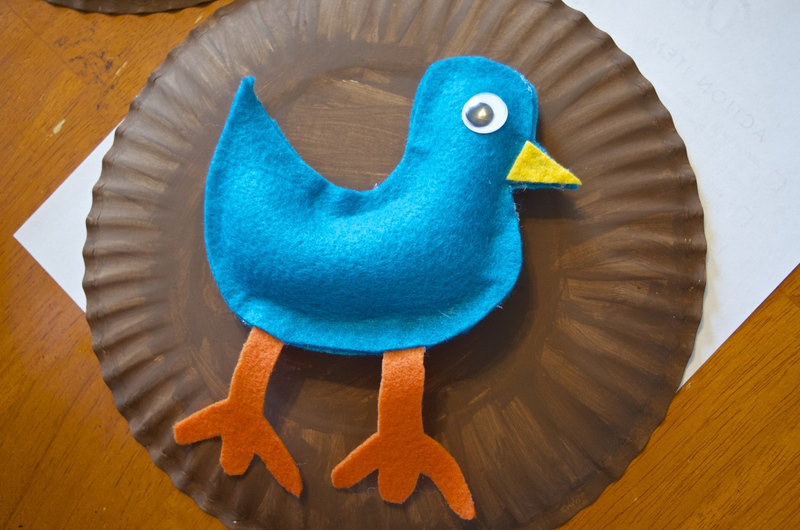 Coordinate it with a children’s book like The Best Nest for story book circle time or just use for a spring craft. 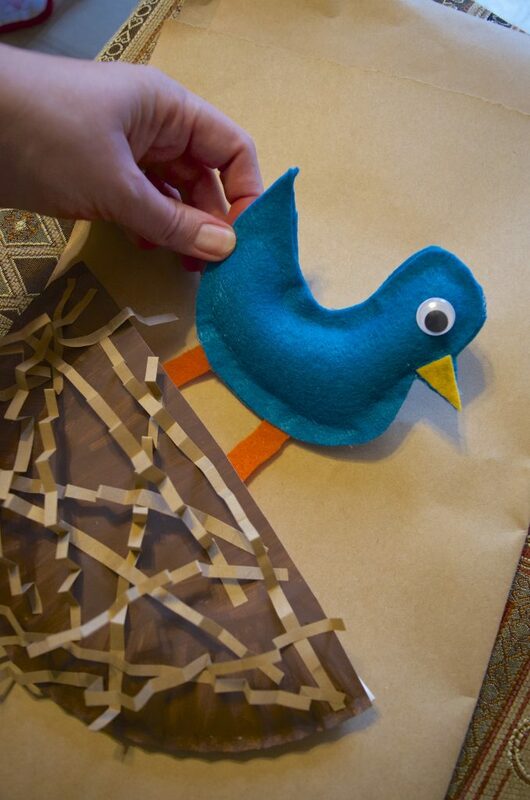 It’s also a great hands-on activity to go with school lessons like this Birds, Nest & Eggs Guide book! 1. Paint or color a paper plate brown on the bottom side. 2. Cut the paper plate in half. 3. 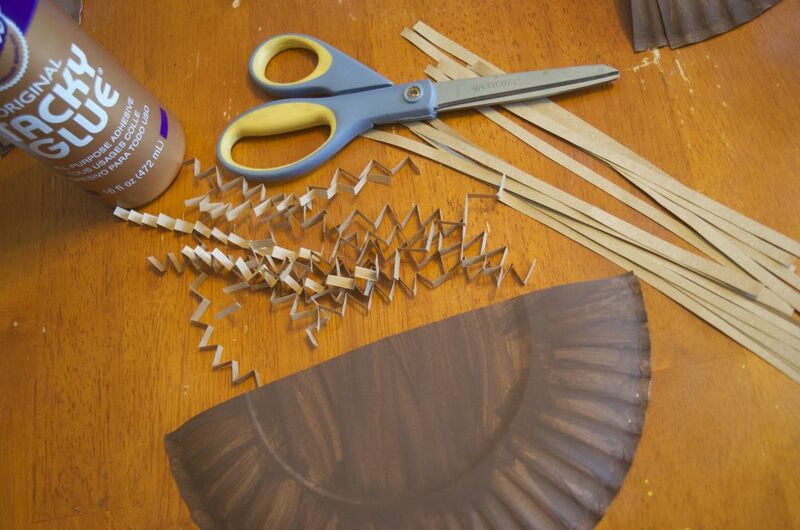 Cut thin strips of brown paper and fold back and forth to give a crinkled look. 4. 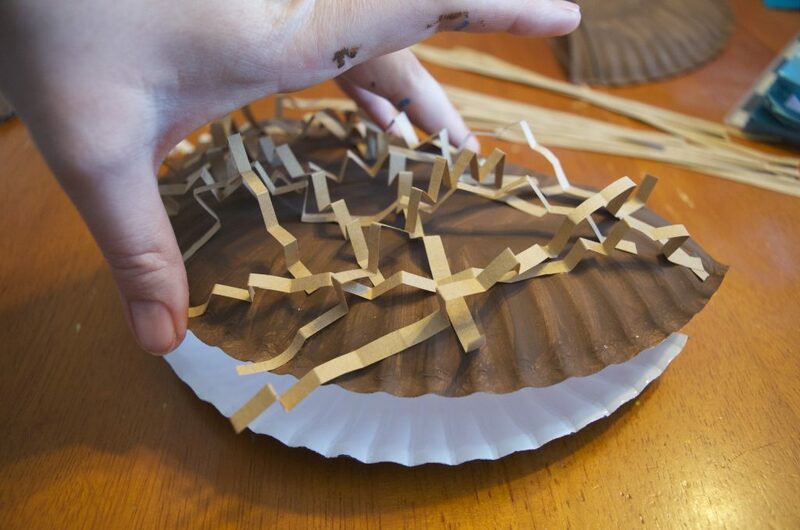 Apply tacky or hot glue to each end of the crinkled brown paper and press firmly onto one side of your brown paper plate. This will feature the covering of your nest. 5. Add tacky or hot glue onto the white rim of the paper plate and press the two plates together to form a pocket as shown in the photo above. Add a bird, dried (oven baked to kill bugs!) or craft moss inside, fake bird eggs, or anything else you are planning on doing with this nest! If this is a classroom or preschool activity that needs to go home the same day I recommend pre-gluing the plates together and using brown markers instead of paint. Below are the books I mentioned earlier to go with this activity.